Healthy foods for kids are introduced through what cute, fun animals eat What’s on the menu today for Cat, Mouse, Rabbit, Monkey, Pig, and Bear? Young readers find out what each animal likes to eat in this board book with bold, bright illustrations and inventive cut-outs. Children realize they like to eat some of the same foods and discover a special treat at the end of the book. 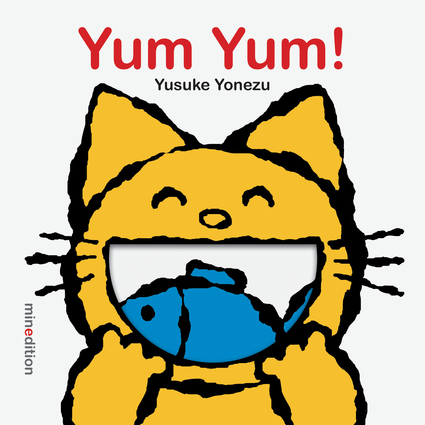 Yusuke Yonezu is an author and illustrator of children’s books, including 5 Little Apples, the Guess What? series, Moving Blocks, Please Don’t Cry, Rainbow Chameleon, and We Love Each Other.